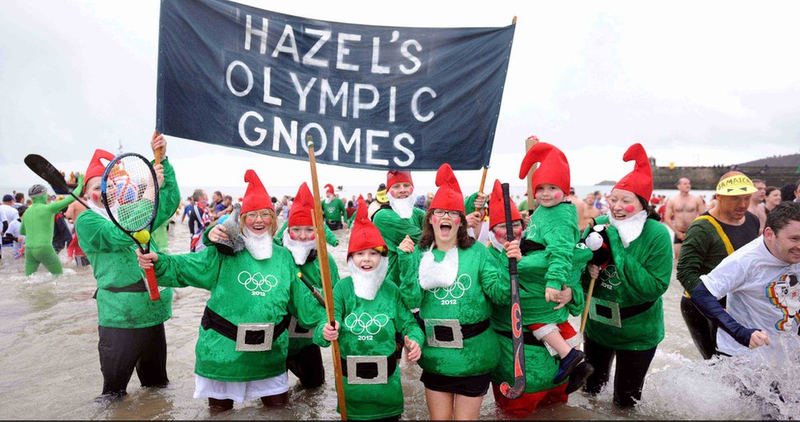 According to the BBC’s website: ‘More than 1,600 have braved the cold sea in a record turnout for a Pembrokeshire New Year’s Day swim.The 28th year of the fancy dress event in Saundersfoot took an Olympic theme to celebrate the 2012 London games.’ Love the outfits. Love the turnout. Nothing better than a good swim on New Year’s Day to start the January purge. Amazing.